Democratic U.S. Sen. Elizabeth Warren's "big announcement" about her 2020 plans will be made in this blue-collar, heavily immigrant former mill town that reflects the economic themes she's been hitting. When U.S. Sen. Elizabeth Warren officially jumps into the race for president, it won't be from her Cambridge hometown where Harvard and MIT reside, or nearby Boston, where presidential hopefuls have launched campaigns over the generations. Instead, the 69-year-old Democrat is widely expected to kick off her campaign Saturday some 30 miles (50 kilometers) north in Lawrence, a faded mill city that's one of New England's poorest and most heavily Latino. The struggling city, once a center of the American textile industry and where one of the nation's most significant labor strikes occurred, provides a fitting backdrop for Warren's economic message of fighting for workers in the face of powerful corporate interests and a growing wealth divide. With a long tradition of welcoming immigrants, the nearly 80 percent Latino city is also a place where the fight over immigration deeply resonates. 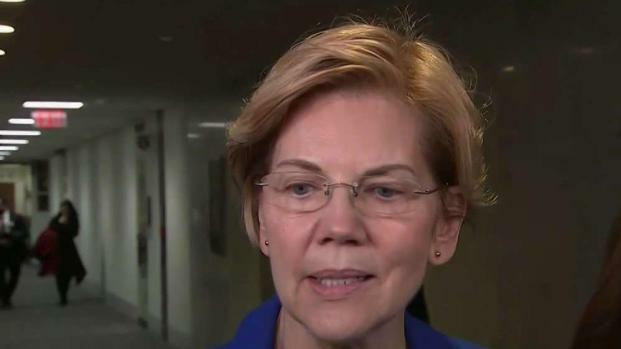 Sen. Elizabeth Warren of Massachusetts apologized publicly for listing herself as "Native American" on her 1986 registration form for the State Bar of Texas. "Lawrence is a microcosm of the story Democrats want to tell about where America has been and where it wants to be," said John Cluverius, a political science professor at the University of Massachusetts in nearby Lowell. "It's an industrial city where American workers fought for fair wages and labor conditions. It's also an immigrant city that's grown from many of the policies that President Trump and Republicans now oppose, like family or chain migration." But what makes the city, where more than 80 percent of voters picked Hillary Clinton in 2016, ideal for Democrats also makes it an easy foil for Republicans. President Donald Trump and governors in neighboring Maine and New Hampshire have called out Lawrence for being a hub for the lethal heroin and fentanyl trade. They've taken aim at the city for its sanctuary city policies limiting cooperation with federal immigration enforcement agencies. "Ending sanctuary cities is crucial to stopping the drug addiction crisis," Trump argued last March, citing a Dartmouth College study that found Lawrence was one of the primary sources of fentanyl in six New Hampshire counties. Democratic Mayor Dan Rivera acknowledged his city's reputation for crime and corruption has been difficult to shake, but he pointed to signs of progress. Trendy cafes and restaurants are starting to take their place among the vacant storefronts, barber shops, convenience stores and other modest businesses downtown. A smattering of biotech and other firms have moved in among revitalized mill buildings, and sneaker company New Balance's towering factory along the Merrimack River is among the most visible links to the city's manufacturing past. "There was a time when politicians wouldn't want to be seen in Lawrence," Rivera said. "But Lawrence isn't just the bad things in the past. There's so much going here." In downtown Lawrence this week, news of Warren's visit was greeted with surprise and curiosity. Many welcomed the positive attention as the city recovers from a series of natural gas explosions and fires. The September disaster killed one resident, injured dozens more, damaged scores of homes and businesses, and left thousands without gas service for heating and cooking for weeks as winter set in. Susan Sirois, who heads Bread and Roses, a soup kitchen named after the city's famous 1912 strike, is among many hoping that Warren offers tangible solutions to the challenges facing Lawrence and many other old cities in her speech Saturday. "She has to if she's coming here. She has to," Sirois said. 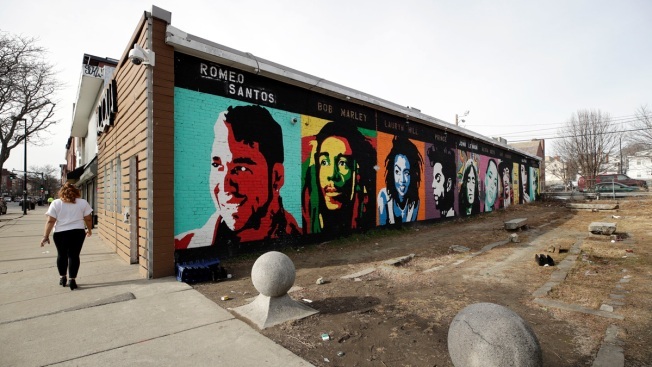 "We might be the poorest city in Massachusetts, but this is not an aberration. This is the United States. This is the way it is." Sen. Elizabeth Warren (D-MA) announced she is forming an exploratory committee for a possible 2020 presidential run Monday. Warren is the first Democrat to take a formal step towards a 2020 presidential run. A resident of nearby Salem, New Hampshire, Sirois is a registered Democrat who voted for Clinton in 2016 but hasn't decided whom she'll back in 2020. Across the street from the Everett Mills, where Warren is set to speak Saturday, Carmen Reyes was excited at the prospect of hearing from the senator she's back in both her senate campaigns. The 60-year-old registered Democrat, who voted for Clinton in 2016, said Warren would be her pick if the presidential election was today. "I really want a woman president," Reyes said. "She can probably do a lot better than what the current one is doing." But a few blocks over, at El Taller cafe, David Cabrera was less willing to commit to a candidate this early. The 47-year-old telecommunications salesman, who is unaffiliated, said he's intrigued by U.S. Sen. Sherrod Brown, of Ohio, and former U.S. Rep. Beto O'Rourke, of Texas — neither of whom has confirmed a presidential candidacy — but would vote for Warren if she was the Democratic Party's nominee. "I find her to be a little more to the left than I would prefer," he said. "Free college tuition, for example, sounds wonderful, but what are our taxes going to look like after that happens? How is it going to affect what I take home?"